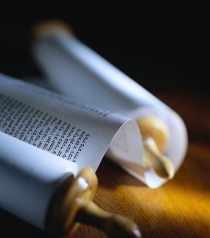 - Ktuvim corresponds to Scriptures. We decided to keep the original names of corresponding books and sections of Bible the way they sound in Ancient Hebrew - the Holy Language Scripture was written in. We call the language Biblical, coz it would be not quite correct to call it Ancient Hebrew. The Bible translation to Greek (so called Septuagint) and further from Greek to all other languages of the peoples of the world led to a great number of inaccuracies and contradictions both as for text itself and as for some specifical Biblical terms. The translation to English - so called "Latin Vulgate"-based translations - is not an exception and it abounds in those inaccuracies. That's we prefer to use the original text in Holy Language, using the direct translation to English and making necessary comments when there's a need. TaNaCh with RASHI's comments is available to purchase at any Jewish Religious Literature shop by Synagogues all over the world.